In this delightful, laugh-a-minute comedy, four unique Southern women, all needing to escape the sameness of their day-to-day routines, are drawn together by Fate—and an impromptu happy hour—and decide it’s high time to reclaim the enthusiasm for life they’ve lost through the years. Randa, a perfectionist and workaholic, is struggling to cope with a surprise career derailment that, unfortunately, reveals that she has no life and no idea how to get one. Dot, still reeling from her husband’s recent demise and the loss of their plans for an idyllic retirement, faces the unsettling prospect of starting a new life from scratch—and all alone. Earthy and boisterous Marlafaye, a good ol’ Texas gal, has blasted into Savannah in the wake of losing her tom-cattin’ husband to a twenty-three-year-old dental hygienist. The strength of her desire to establish a new life is equaled only by her desire to wreak a righteous revenge on her ex. Also new to town, Jinx, a spunky ball of fire, offers her services as a much-needed life coach for these women. However, blinded by her determination and efforts to get their lives on track, she over-looks the fact that she’s the one most in need of sage advice. Over the course of six months, filled with laughter, hilarious misadventures, and the occasional liquid refreshment, these middle-aged women successfully bond and find the confidence to jumpstart their new lives. Together, they discover lasting friendships and a renewed determination to live in the moment—and most importantly, realize it’s never too late to make new old friends. So raise your glass to these strong Southern women and their fierce embrace of life and say “Cheers!” to this joyful and surprisingly touching, comedy. Saturday, January 26 with the show at 7:00 and dinner beginning at 5:30. Sunday, January 27 with the show at 2:00 and lunch beginning at 1:00. Friday, February 1 with the show at 8:00 and dinner beginning at 6:30. Saturday, February 2 with the show at 7:00 and dinner beginning at 5:30. Sunday, February 3 with the show at 2:00 and lunch beginning at 1:00. Friday, February 8 with the show at 8:00 and dinner beginning at 6:30. Saturday, February 9 with the show at 7:00 and dinner beginning at 5:30. Sunday, February 10 with the show at 2:00 and lunch beginning at 1:00. SATURDAY, February 16th, with the show at 3:00 and meal beginning at 2:00- Note- this show is at the HASTINGS ARTS CENTER! Please enter into the Onion on the side street entrance between American Family Insurance and the Onion. The entrance will be well marked when you arrive for the show. Do not be deceived by appearances, for beauty is found within. Once upon a time, an old beggar woman went to a castle and asked the Prince for shelter in exchange for a single red rose. When the Prince turned the old woman away, she turned into a beautiful Enchantress. As punishment, she put a spell on the selfish Prince turning him into a hideous Beast and transforming everyone with in his castle. She left him with a magic mirror to see the outside world and the red rose, which if he learned to love and be loved before the last petal fell, the spell would be broken, if not he and his castle would stay transformed forever. Nearby lived Belle, a beautiful and intelligent young woman, and her father Maurice an eccentric inventor. Maurice went to sell his inventions in a larger town, but got lost and sought refuge in the Beast’s castle. The Beast imprisoned Maurice as punishment for coming to the castle. Belle worried for her father when he did not return, went looking for him, found the castle and gave herself as prisoner in place of her father who was ill.
Will Belle be able to see the Beasts humanity through his monster’s appearance? 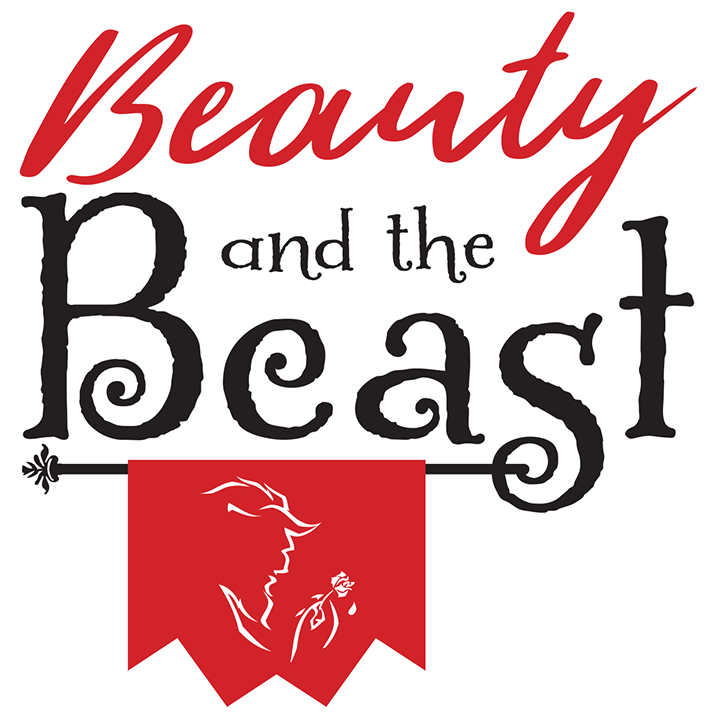 Can the Beast learn to love someone other than himself? Come and find out in this tale as old as time.